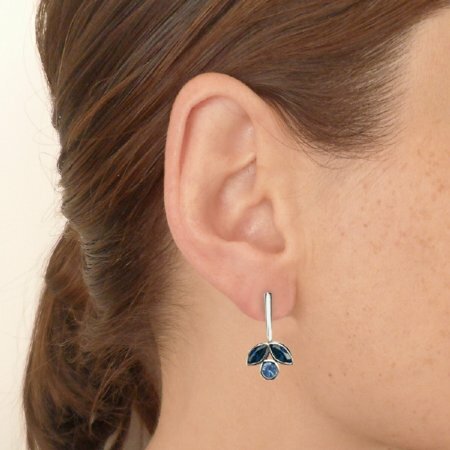 This elegant pair of stud earrings feature a mix of dark and light blue sapphires. These 9ct white gold earrings are perfect for everyday wear as they are not large nor heavy. 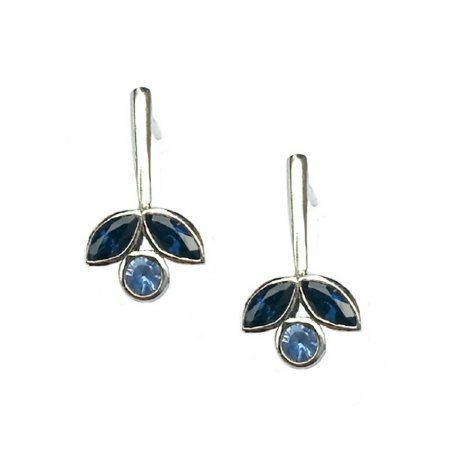 And if you prefer, save them for special occasions and let those sapphires sparkle. The minimal, yet artistic form won't go unnoticed! Earrings measure approx 20mm long x 10mm wide.